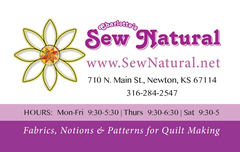 Join the fun and excitement of the 2019 Central Kansas Quilt Shop Hop. Shops are open four days (Thursday-Sunday) which gives you plenty of time to visit all 9 shops. 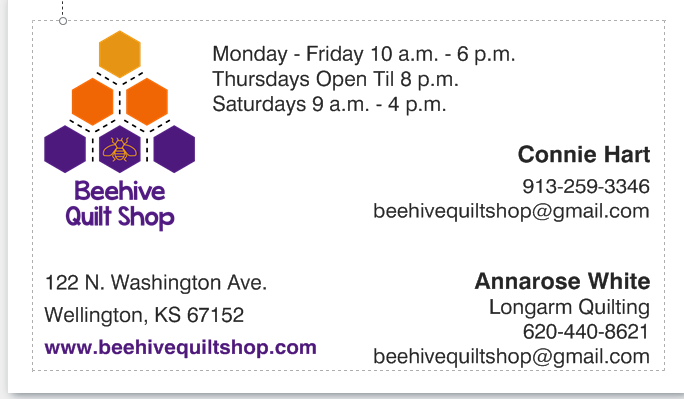 Two new shops this year...Beehive Quilt Shop in Wellington and Kechi Quilt Impressions in Kechi. 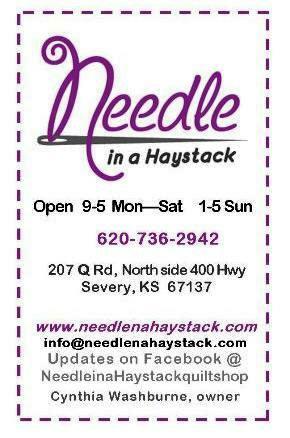 So start planning to get your friends and family together to hop to the shops in Alden, Kechi, McPherson, Newton, Severy, Wellington, Wichita, and Winfield to discover the friendliness and unique personality of each shop. 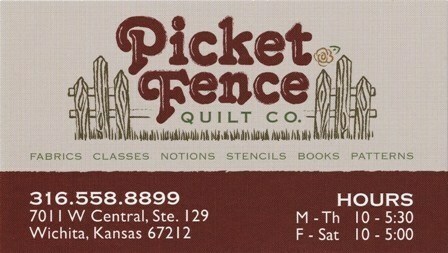 Pictures of each shop's quilts will be posted several weeks before the event. As always, you can go to the Shop Hop Tips page for tips on making your hopping easier and more fun! 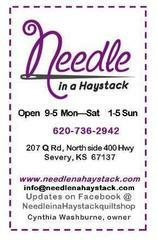 Shop Hop hours are Thursday, Friday, and Saturday 9 am to 8 pm and Sunday 1pm to 4 pm. All returned passports will be eligible for door prizes.Visit all 9 shops to be eligible for a chance to win a special prize! 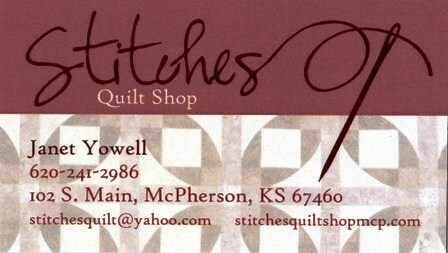 All quilters with 9 Shop stamps will also be eligible for a Thank You gift, as supplies last. Each shop also has a door prize. 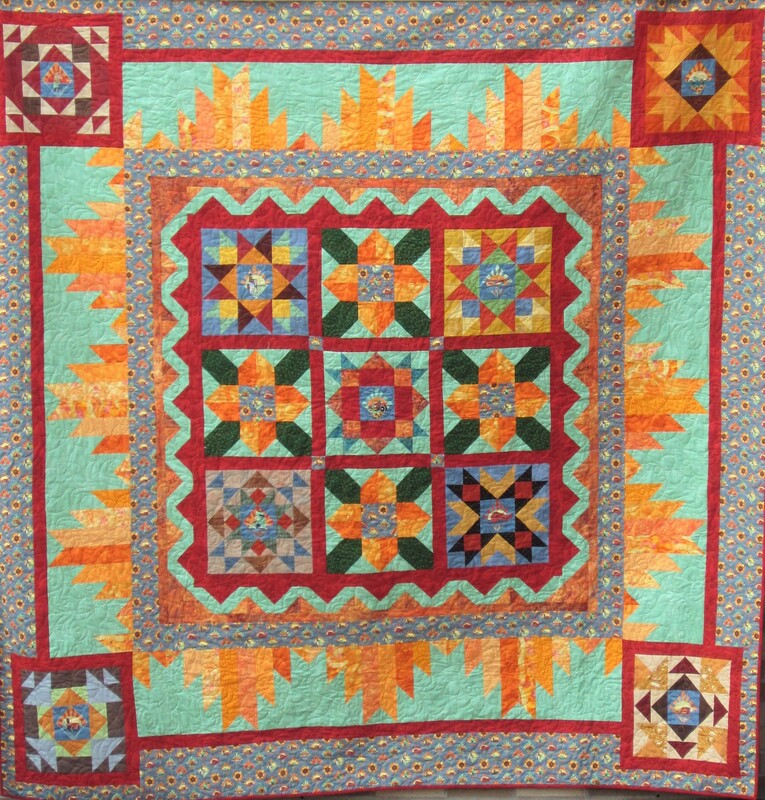 Each year an exclusive fabric is chosen to use in the quilts and exclusive t-shirts are printed. Watch for the reveal later in the summer! For Shop Hop Tips, click on the menu at the top of this page. Contact any of the individual shops for details on the Shop Hop, where to start, how to get there, where to eat, where to stay, etc.